Piano Lessons Are FUN? THINK AGAIN!! I say this without apology or equivocation. I’ve been teaching piano since my teen years and have never considered what I do as “fun”; yet, I absolutely love what I do. What I want to propose is that making piano lessons “fun” is a recipe for superficial music education. I also notice that many teachers feel pressured into making piano lessons “fun”. After all, we must compete with glitzy video games to get a student’s attention. How can a teacher compete for a student’s attention unless they make lessons “fun”. I know many good teachers and they all approach their teaching with a great deal of individuality, yet they all have one thing in common. They to not fall for the superficial solution of making their lessons “fun”. Rather, they make sure their lessons are INTERESTING. They capture the imagination of their students. As teachers dedicated to the educating of their students, their interest is in opening the mind of their students to the vast world of music that they have studied diligently, most often, since their childhood. I have never heard ANYONE who makes their living in music say the thing they remember most about their teacher is that they made lessons “fun”. Challenging – yes. Interesting – yes. Demanding – yes. “Fun” – NEVER! For the first teacher it’s very important to make each step of learning move freely to the next step BUT the reason is to facilitate learning NOT make lessons “easy”. “Easy” is the death of keeping the child’s imagination captured and quickly becomes boring. The teacher with less aptitude will think – “My student is bored. I need to make this more fun.” The teacher with greater aptitude will think – My student is bored. How can recapture the student’s imagination. “Easy” and “Fun” are related to each other and both are terrible goals for an educator. I’m not saying here that education should not be enjoyable. I have heard multiple dozens of times from parents – My child loves coming to piano lessons but doesn’t like to practice. This tells me that I have passed the all important “nice test”. Mr. Severino is nice. After I pass that threshold point of being “nice” I feel “I’m in” and trying to be more nice, or more fun is superfluous. Trying to be more nice is about as necessary as trying to become more clean after taking a bath. In fact, after passing the “nice test” one has built some teacher capital to become strict when necessary. Yet, if a teacher is overly concerned with making lessons “easy” or “fun” discipline and hard work becomes a fear. With “fun” as the goal, lessons become a burden to the student and parent. The parent will finally approach the teacher with the problem of lessons not being “fun” anymore. The teacher then realizes that discipline wasn’t established because so much “fun” was put into the lessons. Discipline, at this point, would drive the student farther away because the false values of “fun” will no longer sustain the student. This is why “fun” as a goal is so misguided. Giving good grades is very related to instructors that emphasize “fun” in their teaching. A real pet peeve of mine is when I enter my students into various student evaluations or music festivals and 100% of them get superior ratings. I’ve been a judge in these events and we are told before hand that we will be called out if we give low scores. This really hinders the teacher that would like a little support to push their students to their highest potential. Why should I work harder, the student reasons; I always get a superior rating. I remember when I was in grade school in the late 50’s and early 60’s. Music class was a class that no one took seriously. If one got a poor grade in music class it was overlooked because it wasn’t really that important of a class. I think that attitude is still held by many today. Piano lessons are not really that important. If my child doesn’t do that well it’s no big deal. Parents, remembering their musical memories of piano lessons, ask me, almost beg me — I just don’t want my child to hate it. My solution to this desire is to take a bold and courageous stand — PLEASE!! Give your child a chance to hate music; because if you do not they almost certainly will. Having said all this I do not want to give the impression that piano lessons are a dreary and joyless undertaking. I DO want to make, as forcefully as I can, the point that making lessons “fun” will diminish optimum learning and produce superficial results as compared to piano lessons in the hands of a gifted teacher that strives to capture the imagination of the student. One time I went to a pre-school and observed a music class. The teacher was having the students march to some music. The students were going around in circles while the music was playing. The teacher would even say — I don’t see marching. Let’s lift those legs high. Then the students lift their legs high. The class laughs as some of the boys exaggerate the lifting of their legs. But I noticed there was absolutely no connection between the students and the music. It was pure fun but really lacking in any educational value. A parent may observe this activity and think the children are being educated about music. Students will tell their parents that they had fun in music class and maybe even tell their parents they learned how to march. Everyone is happy. Everyone had fun. I’m looking at this and thinking what a useless activity. This activity is based upon “fun” but is terribly anemic on educating the student. What can be done to bring this activity from one of shallow fun and questionable value to true enjoyment and true educational value? First, a groundwork of rhythm must be laid. Students must be able to respond in sync with a rhythmic beat. My definition of a March for pre-school students is a March is music in 2’s. So our first activity, therefore, is to count together as a class in 2’s. We count together ONE-TWO ONE-TWO ONE-TWO. After we do that we add great rhythmic clarity by counting ONE slight louder than TWO like this — ONE-TWO ONE-TWO ONE-TWO. After a rhythmic pulse is established students find a partner and and we play pat-a-cake counting ONE-TWO ONE-TWO ONE-TWO. The next step is to repeat the activity while singing Pat-a-Cake. The next step is to listen to a March. I choose a March with a very regular rhythm in duple meter. The next step is to play Pat-a-Cake to the March. Then we count in 2’s to the March. At this point I simply instruct the students that marching is counting with their feet – ONE-TWO_ONE-TWO. Then we listen to the March and march in place. Through all these exercises I’m watching the students to see if the students are responding to the music with rhythmic accuracy. Once that connection is made with a good number of the students THEN we march in a circle and we practice until we get the greatest number of students to respond accurately to the March rhythm. This is an educational exercise that is enjoyable in every step. It’s not dreary and joyless; yet, it’s very strong in educational content. Students enjoy the many activities. The point is that each activity is directed to the goal of getting students to accurately and rhythmically respond to a March. 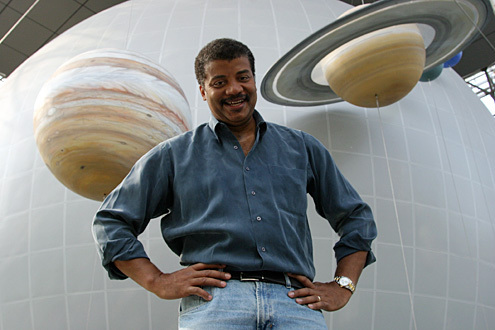 Neil deGrasse Tyson, famed astrophysicist, once commented about the blockbuster movie Titanic. The producers of the movie strove to make the movie authentic in every detail. Upon watching the movie our famed astrophysicist was quite satisfied with the whole experience except for one seeming insignificant detail. The night sky of the North Atlantic Ocean on April 15, 1912, the night the Titanic sunk, was not the sky that was filmed for the movie. The wrong stars and constellations were pictured. This point took away from the authenticity of the film. The sharp eye of Dr. Tyson caught this immediately. As an interesting aside; word got to the producers of Titanic of deGrasse Tyson’s observation and they are going to reedit the night sky to made the movie accurate on this point. Applying this point to piano teaching is that we need to educate our students with an eye to musical authenticity. I do not think a teacher can teach authenticity without incorporating a great deal of musical vocabulary into their teaching. I think we can draw a cosmological analogy that Neil deGrasse Tyson, himself would be proud. Cosmologists tells us before the creation of the universe there was no space and no time. Or, to put this in contemporary parlance there was no “there” there. But upon the creation of the universe there was a great expansion of space and the primordial particles began filling that space and time began. Stars and galaxies weren’t yet formed nor would be brought to existence for ages to come. What existed were four fundamental forces or attractions that exerted their influence to the eventual creation of stars and galaxies. The piano teacher does no less than create a musical universe within the students mind. Within this space we have the four fundamental interactions of music; melody, rhythm, harmony and timbre. Just as man’s understanding of the universe became more clarified through centuries of study; the universe of music, through skilled instruction and the diligent study of the student, will begin to take shape. 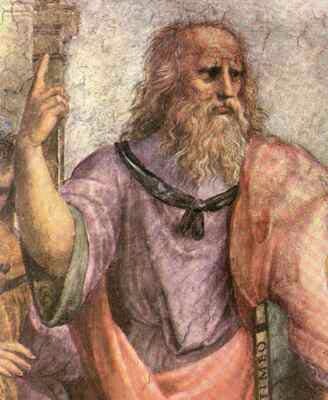 Using the analogy of the teacher creating the student’s musical universe gives Plato’s quote an accurate insight to the importance of the first teacher. From the very beginning by the way we present each idea we realize we are fashioning the students mind to understand greater and greater ideas. It took aeons of time before the first stars were formed from the initial matter created at the beginning; and even more aeons for the formation of galaxies. In like manner it’s going to take a considerable amount of time before notes, rests and dynamics develop into expressive phrases that develop into a simple AB form and yet more time still before they can understand a more complex Rondo form, and yet more for a multi-movement symphony or concerto. Yet, in the teacher’s creation of the musical universe being created in their student’s mind, since we have an understanding of the musical universe, it’s only proper that we plan our materials to set up layer after layer to lead to an accurate picture of what the musical universe will look like. This is why the first teacher and the beginning is the most important part of the work. Because of this, it is very important to teach accurate musical vocabulary from the very beginning. It is also important to expand the student’s vocabulary from the very beginning. After a student understands triple meter we can begin to expand on that with different compositions – the waltz, the landler, the scherzo, the mazurka, the minuet. Each of these ideas express triple meter differently. If we form students in this degree of authenticity and accuracy then we are filling in our student’s musical universe. Given enough time a big picture begins to develop and a connection of facts begin to gel and a panorama of musical culture emerges. Studies have shown that good vocabularies can be directly related to subtlety in musical interpretation. The word “happy” is certainly a fine word to use as an interpretive clue for a piece of music they’re learning. But, we could also use words as “mellow” or “elated” or “joyful” or “content” maybe “festive” or “buoyant” or “tickled”. If we go through each word with our student and discuss the different shades of meaning we can find the exact shade of “happy” we want to express. Approaching piano lessons in this manner goes far beyond “fun”; it goes into comprehensive learning and understanding. The whole process goes far beyond “fun” and becomes very very interesting. Many have learned of the “Mozart Effect”; that music lessons can be a great boom for intellectual development. But, the desired “Mozart Effect” will not have a chance to take root in the shallow waters of “fun”. True satisfaction comes from the enjoyment in learning something well. Your child may not know the difference in a piano lessons that is based on the shallow “fun” level or on the level of comprehensive “enjoyment” but after several years of lessons it makes a world … let’s make that a universe of difference. Look for Part 2 of Piano Lessons Are FUN? THINK AGAIN!! for the benefits your child will experience by having a teacher that values your child’s education over simple amusement and “fun”.